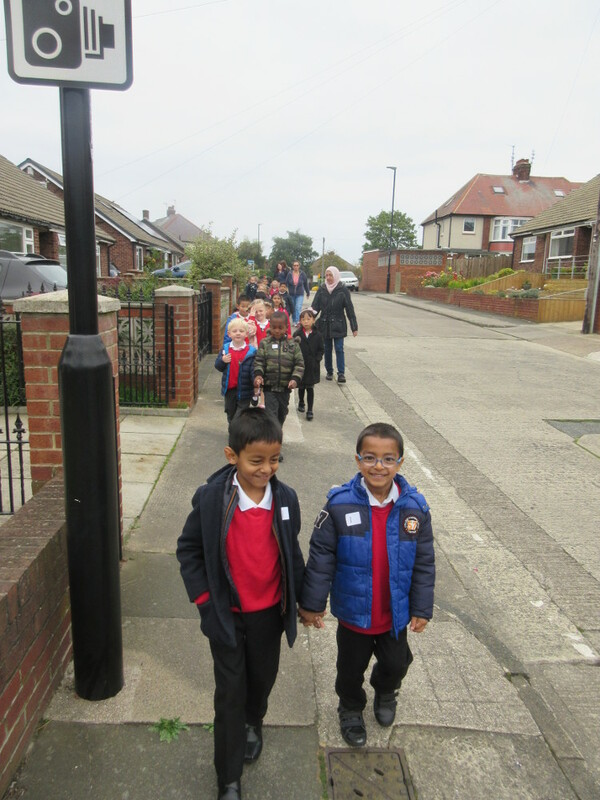 The Year 1 children leave school to start their walk. Year 1 went for a walk around the local area to look for lots of things to learn about like different types of buildings, the materials they are made from, seasonal changes and plants. They stopped off at St. Gabriel’s Church to have a look inside and learn lots about the features of a Christian church. In amongst all of that there was even time for a quick play in Barnes Park. They had a great morning out.